It’s no secret that I love planning and being organised, and if you know me on a personal level, you may be genuinely surprised that I am not always organised. Sometimes I like to curl up on the couch and just surf the internet instead of adulting. It happens. Then there are the times I curse myself for having let things go. Only then do I remember the importance of routine. 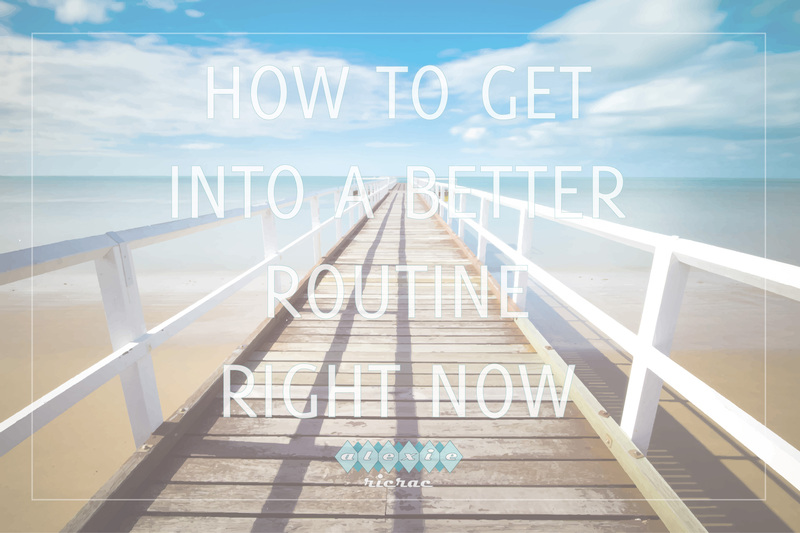 Routine doesn’t have to mean doing the same thing at the same time each day/week/month/however frequent it needs doing. What it does mean is making sure you are in the habit of doing things on a regular basis, and if you do them at the same time – even better. Routine can save you time and money, giving you more time to do less of the adulting that is required of routine. Life planners!? What the heck is a ‘life’ planner? Honestly, it’s just a fancy schmancy term that I have adopted to collectively describe daily/weekly/monthly/yearly planners. See, much easier to say ‘Life Planner’ than to get all that garb out. Our home has two life planners on the go (both need updating for this month, I will admit): one is a weekly planner (similar to this) on our fridge, and the other is a monthly whiteboard planner which, unfortunately, has seen better days and will need replacing soon. The weekly planner allows us to visualise our time for the week in half hourly increments. The monthly planner has all the concrete things like birthdays (blue), events (green), and when bills are due (red). Outside of these two home planners, The Mister and I both use Google calendar on our phones religiously. Too often has one or the other booked something in without telling the other and not put it in our phones. We both have viewing and editing rights to each other’s calendar so we can keep on top of our time. I then transfer all of this scheduling into my personal planner that is carried with me wherever I go. I’m very much a practical person and like to have things on paper in the case of a tech failure. My personal planner also allows me to hold important receipts, take meeting notes, keep a to do list at the front of the planner at all times, and lots of other things. Insider Tip: Don’t forget to schedule time for your planning! I’m talking about meal planners, chore/cleaning planners, shopping lists. You see, For The Home. Again, all three are on our fridge and when we use them properly, they save us oodles of time and money. The reality of contemporary life is that we’re often stuck in our jobs for 30-50 hours a week, sometimes more. Going home to cook and clean is not high on the agenda when all we want to do is put our feet up and watch Netflix (oh boy, we decided to get on board with Netflix recently…that’s another post entirely). Having meal and chore planners help you to maintain that peaceful lifestyle you desire outside of the daily grind. Sure, you have to cook sometimes and you have to clean too, even go to do the groceries, but if you use these planners wisely you’ll have plenty of time for the couch. Insider Tip: Use the ‘For The Home’ Planners in conjunction with your life planners and you will definitely save yourself time and money. Keep your shopping list in your personal planner (front with your to do list, clipped to the shopping day/week, wherever you prefer) and going straight from the daily grind to do the groceries will save you time and money as you won’t be schlepping all over the countryside, merely work – groceries – home. And, if you’ve planned your time well, you’ll have pre-cooked meals in the freezer you can reheat from frozen while you’re unpacking the groceries. No need for take out! Going to sleep and waking up at the same each day and night: It might sound silly to you, but having a solid bed time rather than a fluid bed time will help you get into routine quicker than you think. We’ve tried and tested both methods; can you guess which one we prefer? Our bed time is 22:30 (10:30pm). Anything beyond that and we turn into pumpkins. Both of us can go long into the night if we have to but we love getting horizontal and bunking down under the doona to catch some zeds. I wish we didn’t but unfortunately we do use our phones in bed before nodding off. I grow tired of it pretty quickly though and am often the first to pop the phone on my bedside table. If you absolutely cannot go without using your phone in bed before dozing off, use an app like Twilight (for Android) or F.lux (for iPhone). These apps filter the blue light emitted from electronic devices (phones, tablets, computer screens) that is scientifically proven as being detrimental to your sleep, therefore impacting your general health. Not sure what I’m talking about? Google ‘blue light and sleep’. Waking up refreshed puts you in good stead for the day, and will help you to achieve your daily tasks/goals. I’m the kind of person who chooses to not sleep in…most of the time. As soon as my mind and my body are in sync and functioning, I like to get up and start my day. I get annoyed at The Mister for sleeping in – and let’s face it, he could be sleeping, or he could be just lying there in bed internetting and not adulting – because I like to face each day head on. The day starts for me as soon as my feet hit the bedroom floor, though truth be told I’ll have run through a million things in my head that need to be taken care of before I’ve even sat upright to get out of bed. My morning routine consists of: wake up, quick flick of social media/emails that need my attention, loo, breakfast, million things that need taking care of. Unlike The Mister, I don’t drink coffee. Never have, and pretty sure I never will, even if/when we are fortunate enough to bring our own little person into this world. I hit the ground running without a caffeine fix while The Mister sits down and reads the interwebs (reddit, mostly) over his morning coffee (it’s his final uni semester ever…). Although it grates on me, some days I need to just step back and let him do his thing. That’s his morning routine. We’re all cast from a different mould, and everyone’s routine is different. The important thing is understanding that a routine – loose or tight – is necessary in achieving the million and one things that are expected of members of contemporary society. Do you do routine, or do you need a little more direction? 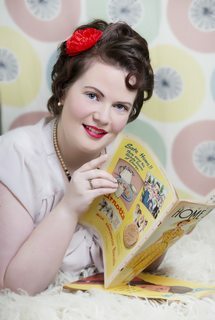 Head over to www.madeit.com.au/littlegoldfish to purchase your very own vintage-inspired printable planner. Be sure to pop the code ARRPLAN to receive 20% off your planner order!